Submission Format: 4-page Extended Abstract, including references, video figure, still image, and a supplemental PDF describing what attendees will experience as well as technical and space requirements. At the Conference: Accepted Installations will be presented during the conference in the exhibits area. After the Conference: Installations descriptions will be published in the Extended Abstracts proceedings in the ACM Digital Library, but are not considered archival. Installations is a high-visibility, high-impact forum of the Technical Program that allows you to present your hands-on demonstration, share novel interactive technologies, and stage interactive experiences. We encourage submissions from any area of human computer interaction, games, entertainment, digital and interactive art, and design. Interactivity promotes and provokes discussion on novel technologies, and invites contributions from industry, research, startups, maker communities, the arts, and design. The Installations track showcases this year’s most exciting interactive technologies and installations. If you have an interesting prototype, device, system, exhibit or installation, we want to know about it. Sharing hands-on experiences of your work is often the best way to communicate your creation. What is the Difference Between Installations and Demonstrations? This year we have two tracks for interactive exhibits. Installations are complex exhibits that require special spaces, equipment or lighting conditions and have an early deadline (17 Oct). Demonstrations are for self-contained exhibits with logistically simple requirements and have a late deadline (7th Jan). Deadline: 17th October 2018: Extended Abstract, Video figure, Still Image, and Supplement. Installations have a deadline of 17th October 2018 to allow you to submit your most cutting-edge work. You will be required to submit an Extended Abstract detailing the work, a picture depicting the work, a video, and a supplementary document detailing the requirements for the exhibit. All submissions should be fully publication-ready at the moment of submission (i.e., not anonymised). The organisers will provide you with a standard table, WiFi, electrical outlets. Additionally, presenters can request 24″ or 50″ Screen, dimmed lighting, and speakers. Due to the expected crowd on Monday evening, we ask that your supplement includes a plan for dealing with line-ups. We ask that you detail how you are going to limit your presentation time to a maximum of 5 minutes per person by providing the “elevator pitch” in the supplement file (see below). This is especially important for wearables and AR/VR demonstrations. Previously-published work will be accepted into the Installations track, on the condition that the publication and presentation history is clearly outlined in the submission, and that the submission is novel in that it was not demonstrated before at a scientific conference. ● A description of the system, installation or exhibit and the problem it addresses. Where relevant, discuss the broader context and questions that your work promotes reflection upon. ● A description of the relevance of the work to the immediate CHI conference community, as well as to the broader CHI community, emphasising its novelty, uniqueness, and rationale. A video is a good way to communicate interactive experiences to the reviewers and provides an archive of the work. You must submit a video in addition to your written documentation. The video must be no longer than 5 minutes and all uploaded content (PDF(s) + image + video) must be less than 100 MB. Please make sure that your video is playable on standard PC and Macintosh computers. We recommend that you encode your video as an MP4 using the H.264 codec. Submitted videos will be used for review purposes. The videos may also be displayed at the Installations site and possibly on web sites previewing CHI content. Be sure to have permission for all content, and use rights-free music tracks. You are required to upload a still image of at least 1500 x 1200 px that represents your work. The image is required for publications and conference publicity. A supplement is mandatory for all Installations submissions and describes technical set-up and space requirements. This supplement is useful for describing anything that does not fit or is not appropriate for the extended abstract and is used to determine how to organise Installation. Abstracts that do not provide a complete supplement using the template will not be reviewed. Supplement materials are for the purpose of review and planning only and will not be published. This information is used to determine spatial, technical, lighting, power (etc.) requirements for the demonstration, exhibit, or installation, and to evaluate whether the authors have a plan for accommodating queues of viewers. The supplement should be no longer than 4 pages. Like all other materials, the supplement must be submitted through the PCS submission system and the total of PDF(s), still image, video, and supplement cannot exceed 100 MB. Installations will be curated and may include work that was invited or selected from other submissions. The selection process includes reviews by the Installations program committee, and will take into account feasibility, available space at the conference, and other relevant information. Our intention is to ensure that the Installations track is exciting, while representing a range of projects being undertaken across diverse CHI and related communities. Submissions should not contain sensitive, private, or proprietary information that cannot be disclosed at publication time. Submissions should NOT be anonymous. However, confidentiality of submissions will be maintained during the selection process. All rejected submissions will be kept confidential in perpetuity. Installations authors will be notified of acceptance or rejection on 10th December 2018. Authors of accepted submissions will receive instructions of how to prepare and submit the publication-ready version, and details on the installations presentation and scheduling at the conference. 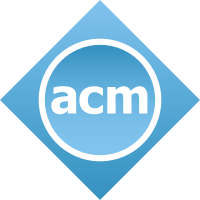 Authors of accepted submissions will also be asked to submit a 30-second video preview summarizing the paper; this is optional, but highly encouraged, as it will increase the visibility of your installation before, at the conference, and in the ACM digital library in perpetuity. See here for technical requirements and guidelines for videos at CHI. The deadline for submitting your video preview is 3rd March 2019 (12pm (noon) PST / 3pm EST / 8pm GMT). Video previews count towards the total submission size of 100MB, so we recommend that the camera-ready submission does not exceed 80MB. For accepted exhibits, we can provide help with plasma displays, etc. only when these are absolutely required to enable the demonstration. Please provide all details using the supplement PDF. Note that although student volunteers will be present in the Installations space at all times, CHI will not be able to provide anyone to run your demonstration. Accepted Installations Extended Abstracts and Videos are not considered Archival Publications but will be distributed in the CHI Conference Extended Abstracts and placed in the ACM Digital Library. Those Extended Abstracts that are associated to accepted CHI Papers will link to the associated archival publication.